Voice search is decidedly gaining momentum these days, and for good reason — it’s fast, user-friendly, allows you to search on the go, and it’s just plain cool. Even better, as voice search services like Google Now, Siri, and Cortana continue to improve, they’re also becoming increasingly reliable. 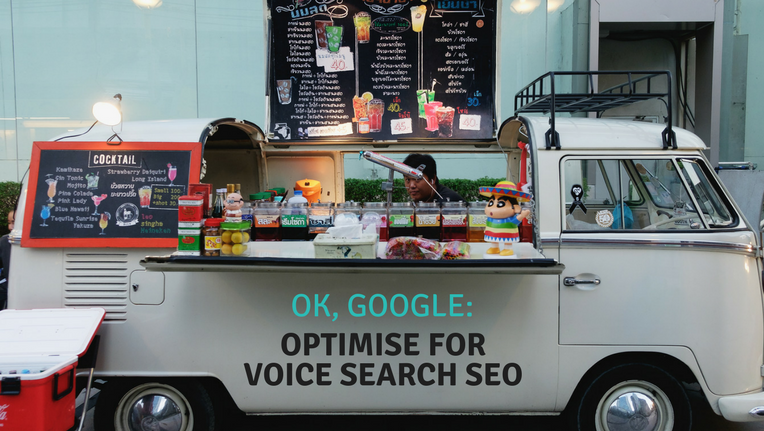 In this article, we will discuss why optimising for voice search will give your SEO campaign an extra leg to stand on, plus actionable tips on how to get started (and stay on top of your competitors). But First, What Is Voice Search? According to Behshad Behzadi, principal engineer at Google Zurich, voice search is the fastest-growing type of search. With mobile devices, smartphones, and smart home devices all featuring voice-enabled digital assistants like Siri, Google Assistant, Cortana, and Alexa, the appeal of voice search is undeniable. • From 2008 to 2016, Google search queries have grown 35-fold. • 19% of people use Siri at least once a day. • 55% of teens and 41% of adults use voice search on a daily basis. • Speech recognition error rate went from over 20% to just 8% between 2014 and 2016. As of 2017, Google’s current speech recognition technology has a 4.9% error rate, not much different from Apple’s Siri with a rate of 5%, whereas Microsoft’s Cortana has an error rate of 6.3%. As voice search becomes more sophisticated, so should your SEO campaign. Let’s take a look at what you can do to start getting more traffic to your website using the power of voice search. Voice search is different from regular search — it’s more conversational and specific, and most people use a kind of natural language when performing a voice search. 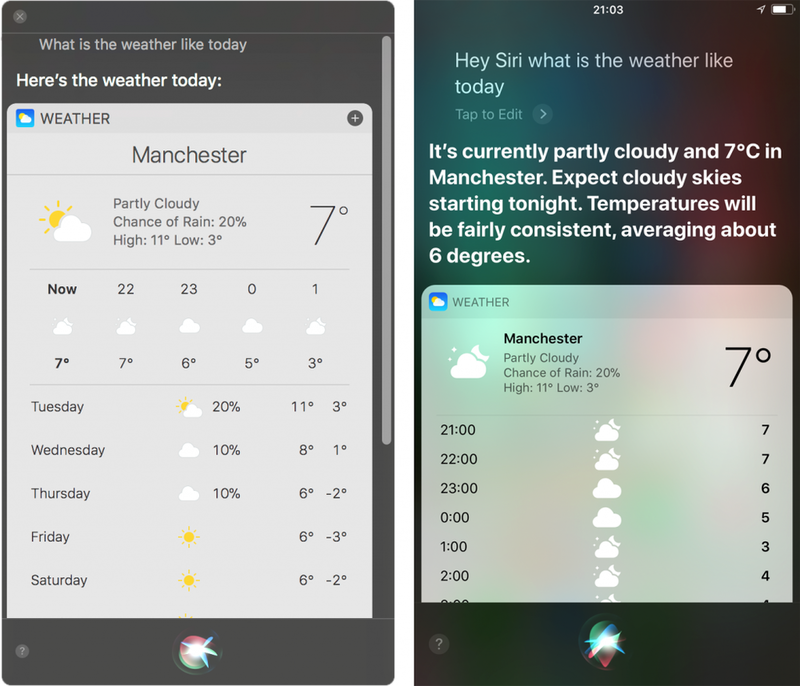 Think real speech — people are more likely to ask “What’s the weather like today?” than they are to say “weather today” when using a voice search platform. It’s almost like starting a conversation with their phone. Start brainstorming the type of spoken questions that might bring people to your website. Target long-tail keywords that mimic how real people talk and ask questions verbally. Usually, these are the same questions you get when customers call you on the phone to inquire about your business. Once you’ve created a list of these questions and statements, it’s time to start creating valuable content pages that are optimised for those conversational long-tail keywords. If your website doesn’t have a FAQs page, now is the best time to create one (or revamp your existing one). Remember you’re optimising for voice search, so forgo the old SEO-keyword phrases you’ve been using up until now. • Approximately 50% of mobile phone-based local searches and 34% of computer- and tablet-based local searches ended with a visit to the store within a day. • 18% of local mobile searches lead to a sale within one day. • 88% of consumers trust online reviews to the same extent as personal recommendations. As many voice searches have local intent, you should leverage the power of your Google My Business listing. If you haven’t claimed it already, then this is the time to do it. Claim and optimise your Google My Business Listing. Having your GMB listing claimed and up-to-date will increase your chances of showing up for voice searches that pertain to your local business, location, or business category. Don’t know how to claim or optimise your GMB listing? 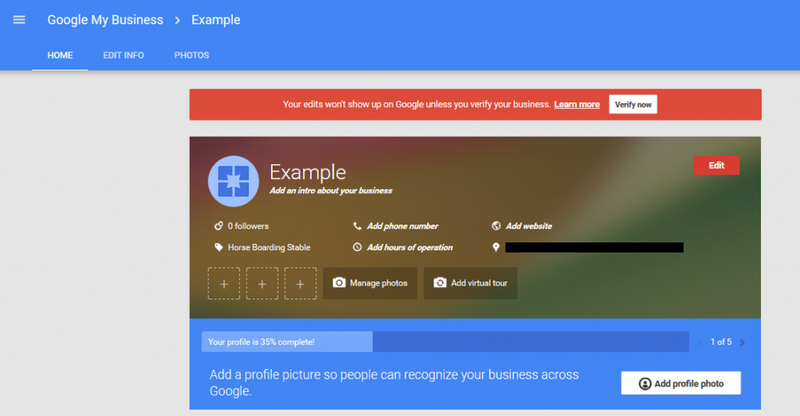 Check out our in-depth guide to Google My Business, which will answer all your questions. Voice search technologies are used almost exclusively on mobile devices — and if your website isn’t properly optimised for mobile, you’re going to get a higher bounce rate. Plus, your PageRank will suffer in the process. In fact, a study by Google shows that bounce rates are 9.56% higher on mobile than on desktop. Is your website mobile-friendly? Check with Google’s Mobile-Friendly Test. • Keep content easily readable and scannable with informative headers, simple sentences, and short paragraphs to help users get the gist of it. They don’t want to read huge blocks of content on a tiny screen. • 40% of consumers will leave your site if it takes longer than three seconds to load. Keep in mind that voice searches are intended to be fast, so the quicker your site loads, the better. • Mind your layout. Are elements such as links and buttons too close together? This will inadvertently frustrate users and make them click away, thus increasing your bounce rate and hurting your PageRank. By taking steps to optimise your website for voice search, you’ll stand a better chance at generating not only more traffic, but more leads and customers as well. 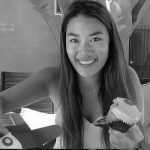 One more thing — it’s always a good idea to read the user guides of the various voice search platforms that people commonly use, as well as their respective lists of commands.